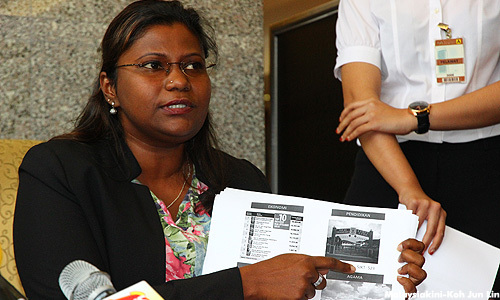 It would be hypocritical for Prime Minister Najib Abdul Razak to champion moderation while at the same time endorsing the National Civics Bureau (BTN) which is perceived to be promoting racism, said Batu Kawan MP Kasthuri Patto. "While he advocates the idea of 1Malaysia, particularly during the 2013 general election, being the founding father of the Global Moderate Movement, a self-praising defender of the concept of 'wasatiyah' or moderation, the prime minister continues to fan the flames of separatism and discrimination by feeding the monster of racism under his very own nose, disguised as the BTN in the Prime Minister's Office," she said in a statement today. Patto was responding to Najib who yesterday praised BTN and said the agency was relevant to ensure victories in future general elections. He had said that BTN had specific objectives of moulding Malaysians to ensure the continuity of the government's leadership and hold on power. "This statement of using (or misusing) the BTN for political continuity is a reflection of the arrogance and high-handedness of Umno-BN to abuse government machinery to cling on to power. "Has Najib misplaced his moral compass or is he bankrupt of ideas, ways and means to win the next general elections legitimately that he has to dip his nib into the potent pot of racism, bigotry and hatred to draw up a malignant plan that will further keep alive 'divide and rule' racial politics that will cement Umno-BN as a government for decades to come," said Patto. She added that BTN, despite being publicly assigned the task of nation-building, had done the opposite. "It is an open secret that the BTN has done nothing to promote tolerance, professionalism, fairness and patriotism and instead has been dancing to the tune of Umno-BN in propagating the likes of supremacy, racism, divisive policies and all that contribute to the destruction of a cohesive, just, fair society in Malaysia. "After 36 years, it is without a doubt that the BTN has failed in nation-building, which ironically falls in line with exactly what Umno and their leaders have been fighting for," she said. Patto urged Najib to disband BTN if his 1Malaysia slogan is genuine. If Najib does not, she added, Harapan will do so if it captures Putrajaya. "There is no place amongst peace loving Malaysians in a Malaysian Malaysia for BTN to continue to exist," she said.